TechPro Security Products a leading US manufacturer of security surveillance products with East Coast and West Coast based facilities. We offer free consultations for custom solutions for Neighborhood Security Camera Systems. 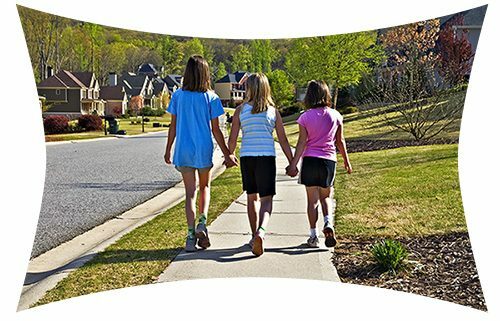 Our neighborhood security camera systems can be scaled to meet the needs of any size neighborhood. From mobile home communities, large gated communities to full size planned communities that have thousands of homes. Our neighborhood surveillance cameras can cover as many locations and key facilities as you desire. Crucial entrance roads and high activity areas can be monitored around the clock with neighborhood video surveillance. 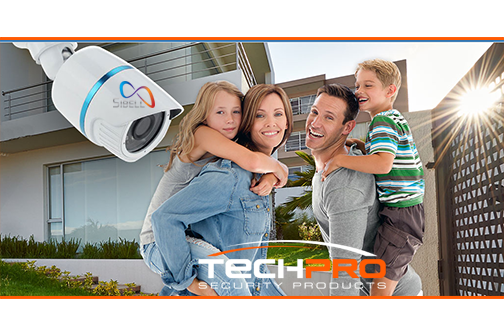 TechPro Security Products offers free lifetime technical support for the life of your neighborhood security camera systems. Our US-based Technical support is available from 9 am to 8 pm EST and is always ready to help you with issues related to your neighborhood security camera systems. Free remote viewing apps for Apple and Android Smart devices will allow you to monitor any areas covered by the security cameras. The amount of property and buildings surveilled is vast depending on whether you have outdoor security cameras or indoor security cameras. Our highly technical support experts can login to your machines and help remotely with many common issues. You might need help setting up cameras that can alert you when motion is detected? Or with viewing your cameras of the internet or remotely on a smart device with our remote viewing apps? No matter what you need help with our friendly US based security surveillance experts are always standing by ready to assist with your TechPro Security Products for their lifetime. Our Security Surveillance Experts will plan the ideal surveillance solution dependent on the varying scope of your neighborhood or community. HOA Security Cameras are in huge demand due to more than one factor. One reason is the large increase in gated and planned communities but criminal activity is also at all time highs. Monitoring and responding to any type of crime or nefarious actions has proven to be the most effective solution to fighting crime. A traditional security guard is a great security measure but their predictable nature leaves the areas they protect open to vulnerabilities. Have guard stationed at one location is easily circumvented and watching a security guard drive around in a golf cart in the same pattern day after day can effortlessly be forecast by the most novice of criminal. Digital Security Guard offers a great solution by using licensed security guards that use remote video monitoring. This allows licensed security guards the ability to view and watch many cameras thus giving swifter reaction time to alert the proper authorities or homeowners. You must have a Security Camera System in place first in order to use Digital Security Guard. With crime peaking at all-time highs, you can never have too many security solutions in place. You can easily add additional sets of eyes to your neighborhood security camera systems with remote monitoring. HOA security cameras and neighborhood watch cameras can all incorporate remote video surveillance. Ask yourself a simple question – How much would you pay to protect your hard earned assets? How about loved ones and family members? There is no exact price tag but security surveillance products are the least expensive of all security solutions. Contact us today If you are interested in becoming a Security Surveillance distributor with a leading manufacturer of Security Surveillance Products. Choosing a great business partner will help your company continually grow as we fully support all of our security surveillance product through their lifetime. Our dealer/distributor program is perfect for those in the industry whether you are a security system installer, dealer. storefront, or just an entrepreneur at heart. Our global presence for security recorders, security cameras, and access control is unparalleled with over one thousand successful dealers nationwide. Our platform is proven as all parties involved mutually benefit. Our pricing and margins for dealers are what allows them to take make above average profits compared to other distributors of security surveillance equipment.